The post Israel’s Influence on Congress appeared first on Peter G-W. 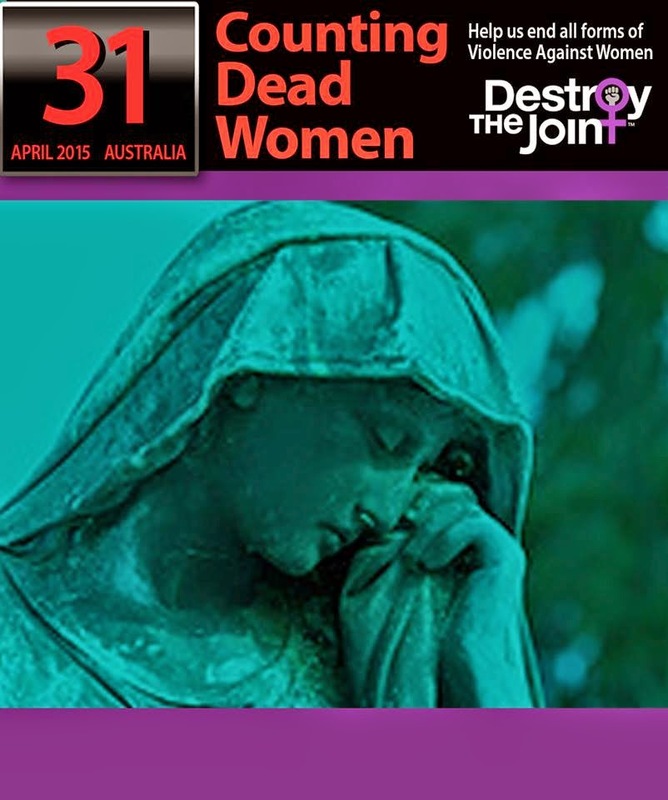 Destroy The JointSince 1 January 2015 thirty-one women have died in violent incidents. On 7 May 2015 there is a general election in the U.K. Are you eligible to vote? North Coast Voices received this email from the Leader of the Green Party of England & Wales on 14 March 2015.__________________________Greetings from London, where we Greens are in the final weeks of our biggest-ever national election campaign.Did you know that all Australian adults currently in the UK are eligible to vote in British elections? It’s true. So are most British citizens living in Australia. The post Weekend Links 18-19 April 2015 appeared first on MacroBusiness. Earlier today the NSW Electoral Commission “pushed the button” for the Legislative Council election, and approximately half an hour we had a result in the Legislative Council. As expected, the Coalition won nine seats, Labor won seven, the Greens won two and the Christian Democratic Party and the Shooters and Fishers each won one seat. But the last seat was not clear before the button was pushed, and ultimately the Animal Justice Party’s Mark Pearson, ahead of No Land Tax’s Peter Jones and Liberal Hollie Hughes. Ever wondered where the long road to achieving the rights of the common man began? Guest blogger Graham Parton, explains. If 2014 was the year we commemorated the 100th anniversary of the start of World War I, 2015 will be the year we commemorate the 800th anniversary of the signing of the Magna Carta. Over the last couple of days, the Twittersphere has been full of congratulations for Waleed Aly’s The Project segment on the Renewable Energy Target (RET). If you haven’t watched it yet, here it is. Apart from the fact that it’s fairly amusing that journalists like Aly get congratulated for talking about the details of a policy, and showing that they actually care about policy outcomes, (because shouldn’t they all be doing this all the time? ), the segment was, on the whole a good one. The post East-West Links shows miserable failure of planning appeared first on MacroBusiness. The post Mike Smith keeps services hopium alive appeared first on MacroBusiness. Queensland’s peak demand at near record highs, and may have set new record were it not for distributed small-scale solar PV. AGL vows to close its coal-fired plants by 2050. But that still means several more decades for Australia's most polluting power plants. What if you could change your decades-old house into a modern, comfortable, energy-efficient home in less than ten days without having to move out or pay extra? Up in arms about a dodgy marketing campaign we missed the greater tragedy, and a chance to avoid repeating history. The post Bloxo: interest rates to rise but no bubble appeared first on MacroBusiness. The last module on Australia's first 100MW solar plant has been installed. But the completion of the Nyngan solar plant highlights the huge missed opportunity for big solar in Australia. Differing responses to the threat or radicalisation reveal the gaps in how the two nations view themselves and immigration. Electric vehicles charged by renewable energy will qualify for carbon credits under amendments to Clean Development Mechanism, the only global carbon market. South Africa plans to contract another 6.3GW of renewable energy capacity as it 'pulls out all the stops' to meet its energy challenge. Australia, take note.